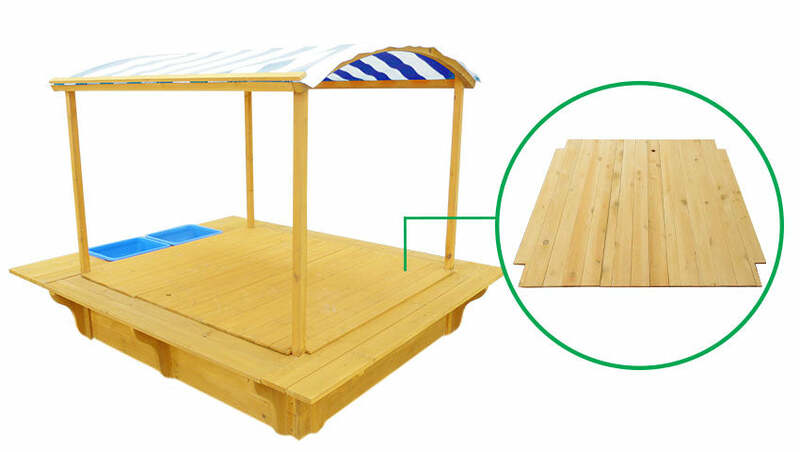 Capture the excitement of the beach for your little ones at home with the cabana styled Playfort Sandpit. 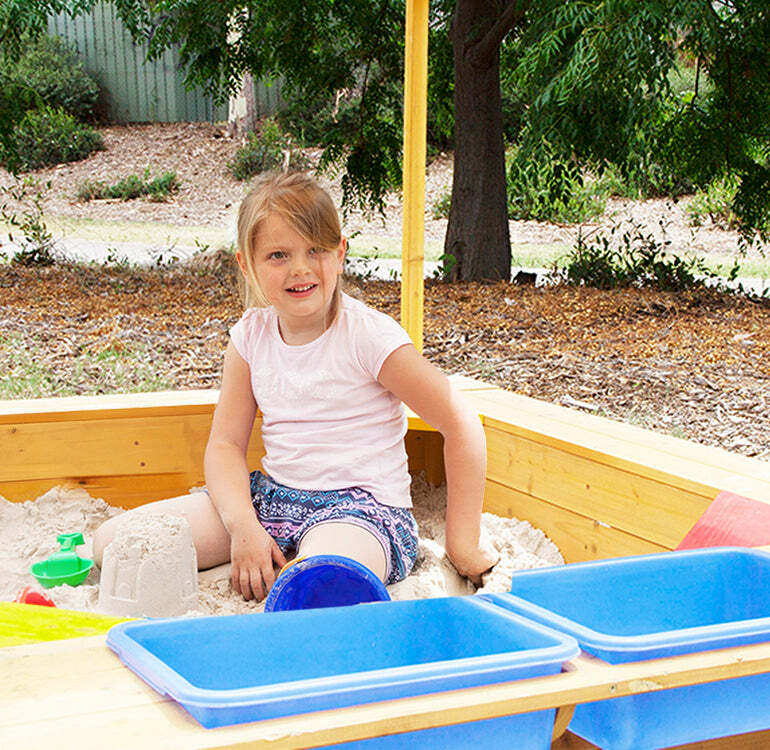 A huge play area and storage buckets give them the ultimate beach experience, shaded from the sun with a white and orange UV-protected canopy. 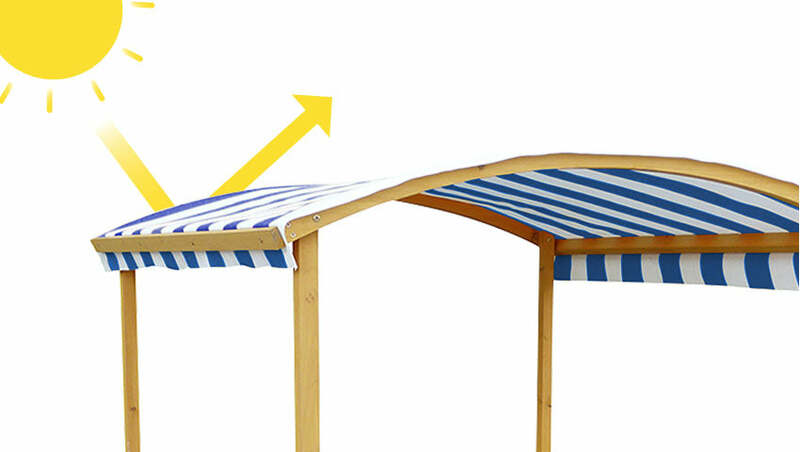 Keep the sand fresh with a wooden cover. 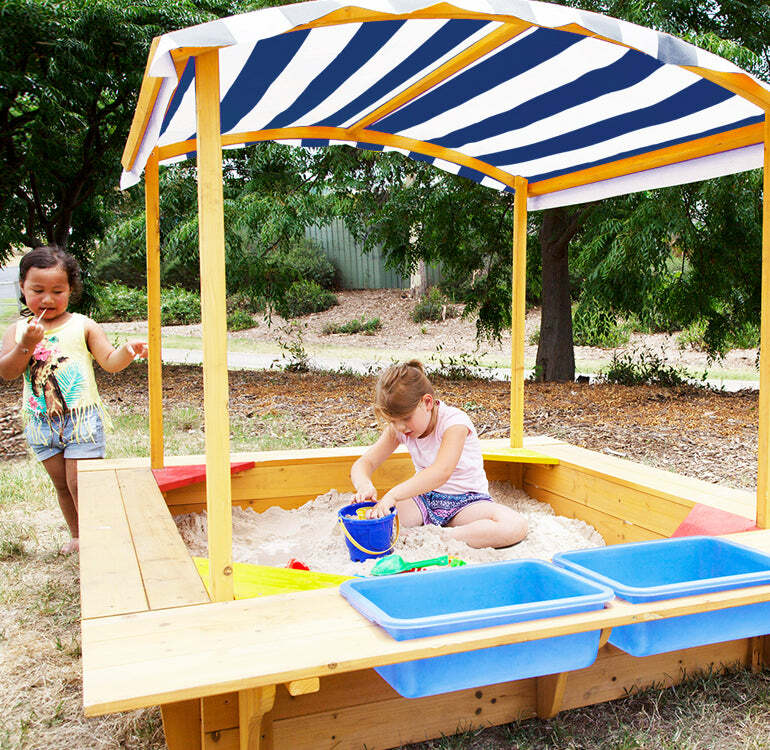 Capture the excitement of the beach for your little ones at home with the cabana styled Playfort Sandpit. 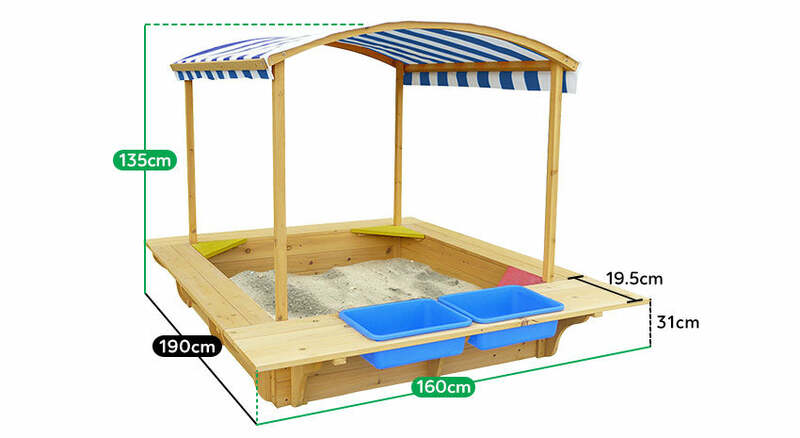 A huge play area and storage buckets give them the ultimate beach experience, shaded from the sun with a white and blue UV-protected canopy. 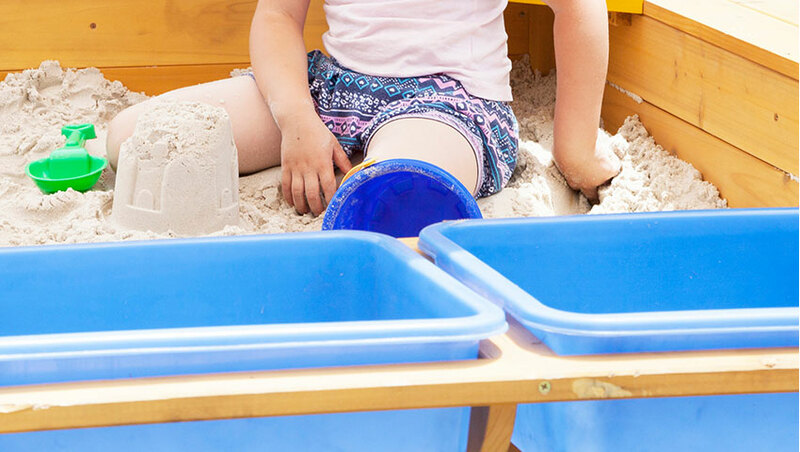 Keep your Toys/Tools stored neatly with two convenient storage trays.